The latest comic in my series "Who Needs Art?" 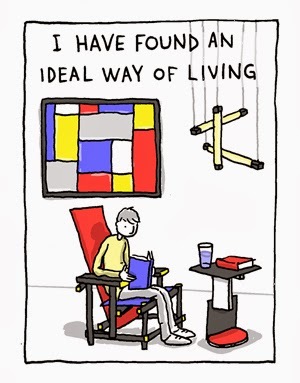 for Medium.com features the geometric abstractions of Piet Mondrian and Theo van Doesburg - the two main figures of the Dutch art movement De Stijl. You can read the full comic here. Caution: may contain primary colors.